NEW YORK (TheStreet) -- Biotech stocks started the year red hot, but as spring approaches, the sector is rolling over. Selling begets more selling. Concerns about drug pricing and absurd valuations dominate the conversation. Columnists write stories about a bursting biotech bubble. 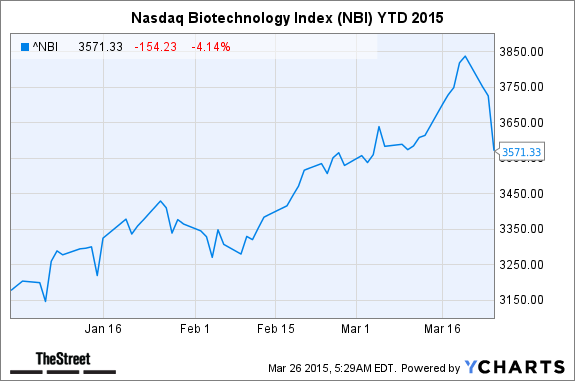 A gloom settles over the biotech sector. People wonder if this is the end. You thought I was describing the past few weeks? No, silly. I'm talking about 2014. Surging stock prices in January and February ended abruptly, followed by six weeks of almost steady weakness. 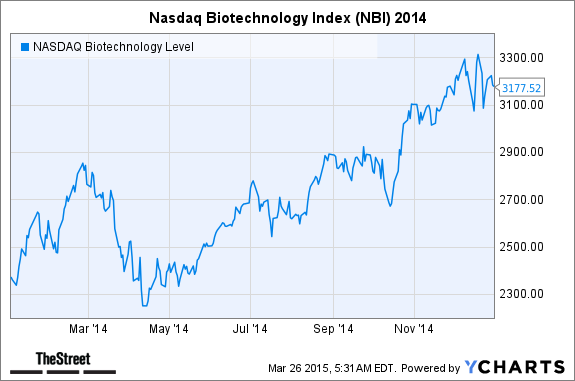 By the middle of April, all the gains in the biotech sector in 2014 were erased. 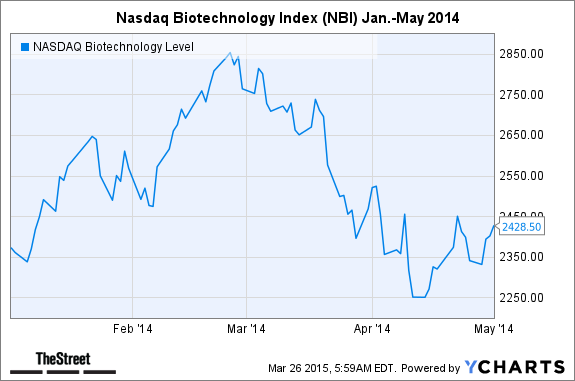 The Nasdaq Biotechnology Index (IBB - Get Report) was actually in the loss column for the year. It's too early to say anything definitive and the selling started a bit later, but this year's chart looks eerily similar to 2014. In case you forgot, here's how 2014 ended. The early spring correction, dip, bursting bubble -- call it whatever you want -- was bought. And bought some more. And some more. I have no idea what's going to happen with biotech stocks in the days and weeks ahead. There are legitimate reasons to be concerned about excessive valuations and the disregard for risk. Biotech investors are nervous. Yet the business of biotech has never been stronger and a lot of ground-breaking science is getting figured out. On that last note, we are entering the high season for medical conferences. The incredible rebound in biotech stocks last year was sparked in large part by groundbreaking clinical data presented at conferences like AACR in April and ASCO in June, where cancer immunotherapies became investment rock stars. Let's see if that pattern repeats itself this year. Sell-siders tend to be cheerleaders and are almost always tragically late warning investors about markets rolling over. 3) Growth is scarce.... Generalists tell us biotech growth is scarce in a low GDP, low interest rate environment.... P/Es do not appear expensive relative to everything else out there in energy, financials, etc.... So biotech still looks great in our view.